All purpose strapping cart for Steel PP & PET. Will accept 3 in. 6 in. & 8 in. coil with 8 in. or 16 in. cores. 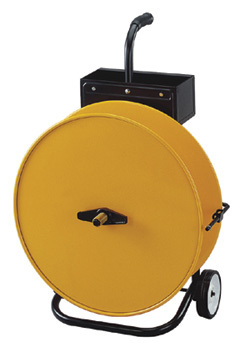 Has heavy duty steel frames automatic brake tool tray and ball bearing sturdy wheel.